B-inspired is a community anchor charity and champion for Braunstone. We have been supporting our neighbourhood and its citizens for the past 18 years. We help residents reach their full potential by harnessing their strengths and responding to need. We need your help to continue the work we do in the community. We are incredibly grateful for any kind of support you can offer to us as an organisation. No small deed is ever gone un-noticed. B-inspired has a number of volunteering opportunities available to suit a range of interests for all skill levels. You can give as much or as little time as you are able. 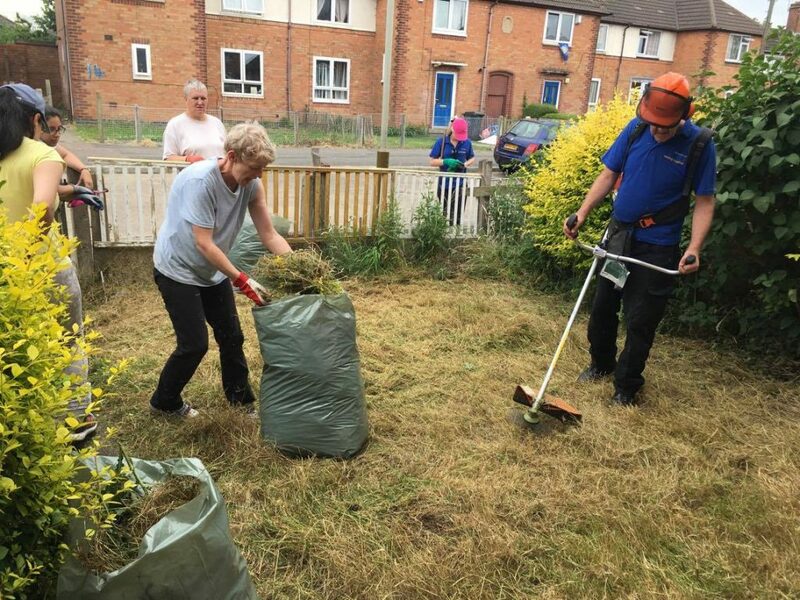 We can also offer opportunities for those who work during the week, as we run a number of community events during the evenings and occasional at weekends. See what opportunities we have available and apply to volunteer with us today. B-inspired supports two projects which are looking for the donation of items. 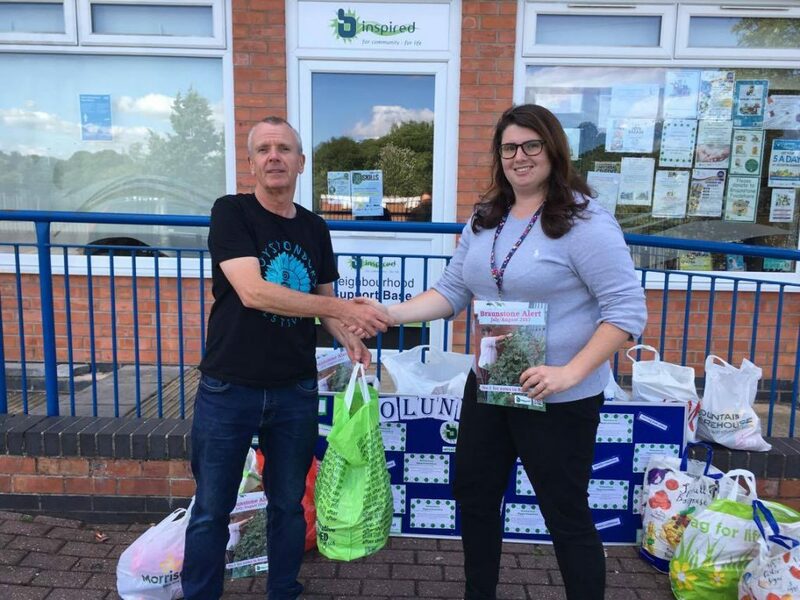 The first is Braunstone Foodshare, which supports families who are in need. 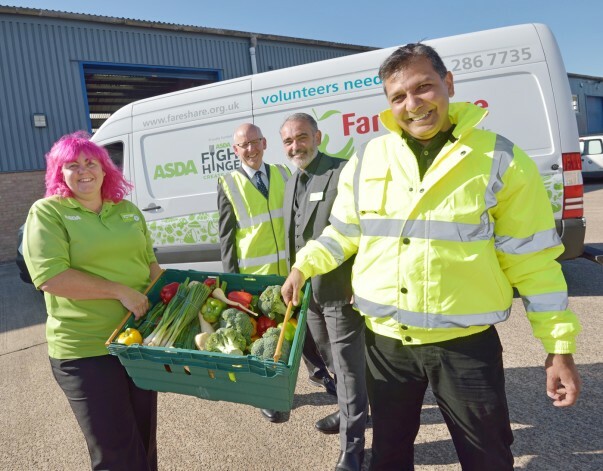 Our foodbank supports 70 families primarily in Braunstone and its surrounding areas, the demand on our service continues to grow. We welcome donations of food. Please call our offices on: 0116 223 2256 to find out what us currently needed. The second is The Garage Sale, a resident led community activity that sells pre-loved clothes, toys and bric-a-brac. All profits raised from the sale of goods, goes towards supporting other local groups and funds a range of community events and trips in the area. So, if you are having a clear out and have clean, good quality and fully working items, please think of us. We are currently unable to accept electrical goods and furniture, but we may know someone in the area, who is in need. Please call us to find out before you dispose of your items by other means. If you wish to donate items, please call: 0116 223 2256 for more details or simple drop them off at B-inspired’s Neighbourhood Support Base, 45 Wellinger Way, Braunstone, LE3 1RG from 10am to 4pm, Monday to Friday.